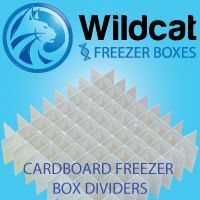 Wildcat makes boxes and dividers in Ohio and sells them directly to biotech companies, universities, and government agencies. We don’t sell through a distributor, so you don’t pay any additional markups. We simply make 100,000 boxes at a time, and pass the quantity discounts on to you. 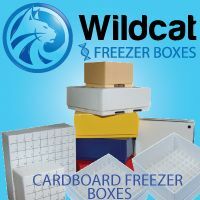 Why Use Wildcat Lab Storage Systems? No Risk - JUST REWARD! 1. Lowest prices in the USA – Guaranteed! Browse these categories under "Lab Storage"